When the power grid fails, what will you do to survive? 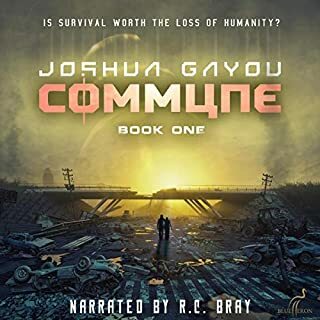 After an EMP obliterates the nation's electrical grid on New Year's Eve, it's not long before society unravels and panic ensues. 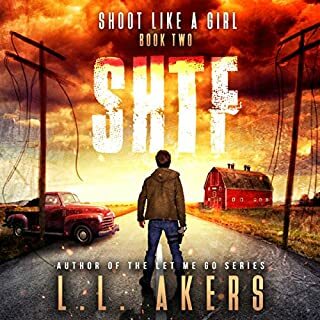 As the lights go out and silence spreads over the city that never sleeps, four ordinary strangers - a bike messenger, a homeless person, a support rep, and an ex-convict - must forge a connection in order to stay alive. 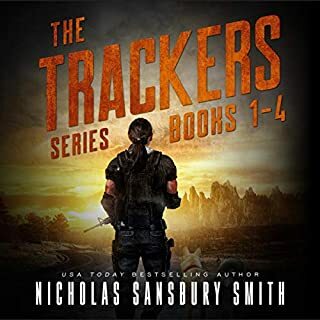 When they realize the danger is far greater than they expected, they must embark on a perilous journey out of the city. 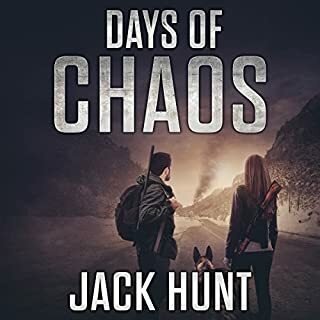 Days of Panic is book one of an EMP post-apocalyptic survival thriller series. 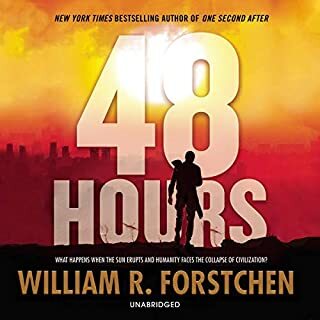 It's a powerful, action-packed story about the ones we leave behind and the risks we must take to survive. There are a lot of books out there in this genre. This one has a good mix of prepared, unprepared and clueless characters. The mix is interesting with all four of the main characters bringing something to the table. Obviously trust amongst strangers is tough, even more so in a collapse situation. There is a lot of back story that develops as the overall story progresses through the collapse. It works effectively to explain motives and actions. I am looking forward to the next installment. Kevin Pierce narrates this effortlessly and with his usual style that makes him a fixture in this genre. Great story and great characters! 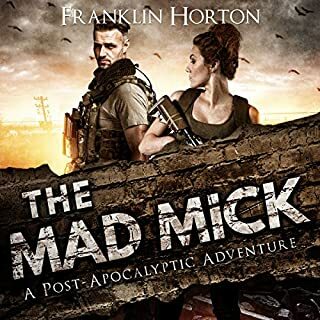 I've read a lot of Post Apoc books and enjoy the genre immensly, but I do find that most of the books are alike and while this kind of follows the same principals of the genre, I actually found myself loving this book and thinking it was one of the best I've read in a while!! I think one thing that made me love the book was the characters. Even though they aren't as fleshed out as I usually like, I still connected with each one. Elliot was my favourite. My heart broke for his situation. He is a homeless man, with a family that cares for him, but his PTS was so bad that he feared for his families safety and left. 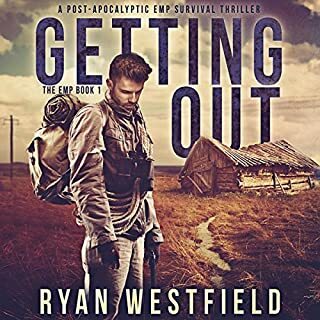 Living on the streets is tough and Elliot just wants a quite life, but when he is arrested on New Years Eve, and thrown into a van with 3 others, Jesse, Maggie and Damon, he feels like his life can't get any worse, but it's about to!! Before the count down can finish, a plane falls from the sky into the crowd. Initially thinking it's a terrorist attack, but realising that there are no phones working, Elliot and his unlikely companions know that this is only the beginning. They have to leave the city before things get bad!! Each of the characters have a story and a past and each of them have to forge a bond in order for them to survive. The plot was fast paced and quite scary. It starts with introducing us to the main characters and letting us get to know a little about them and how they came to be together. We also get to meet a woman and her kids that live near Lake Placid. She is prepared a little for certain scenarios as her husband had written down tips and things to do in the case of emergencies, but it still hits hard when she realises what has happened. It moves back and forth between Elliot and his unlikely group and the woman and her kids. Things go down hill very fast and the authors descriptive writing makes it feel so real and scary. There were parts of the story that I was on the edge of my seat for, especially with the bunker part!! You will have to read it to see!! In all, this was a surprisingly great read!! There's more I want to say about it but I don't want to spoil anything. It was well written and developed and I was engrossed in the story right from the start. The ending isn't a cliff hanger but still makes me really eager for the next one. Kevin Pierce is a pro at narrating books like this. He is clear, concise and easy to listen to, and always delivers a great performance. It's no different here!! Great performance and I loved his portrayal of Elliot. This book had my emotions all over the map. Loads of excitement and thrills. It's a great start to a great series. I like the characters, and hope they all survive. The narration is, of course, spot on with Kevin Pierce bringing everyone to life. 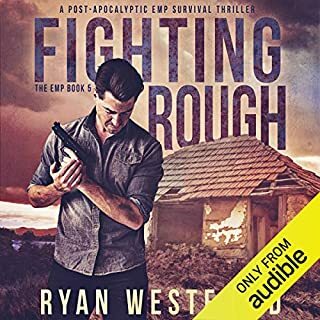 So, sit down, buckle up and either turn the page, swipe the kindle, or put your headphones on and prepare to be entertained. wow! this book was intense! I was on the edge of my seat the whole time I was listening. it definitely made my hour long commute to and from work more exciting! I was so disappointed when it ended! I need to know what happens next!! Good start to new series. 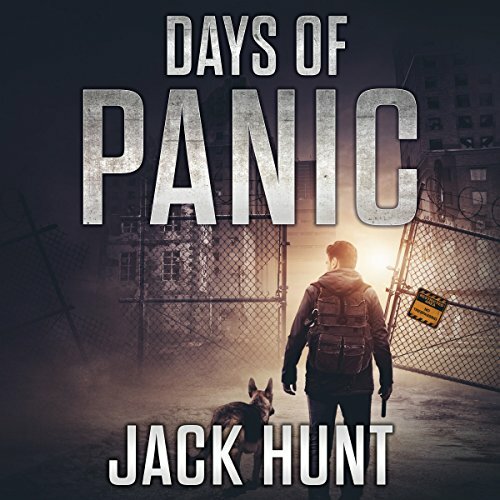 Days of Panic is the first book in a new post-apocalyptic series by Jack Hunt, a genre he is quite familiar with. 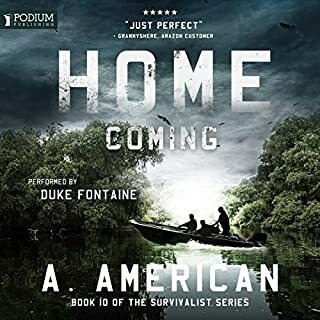 As is typical for this type of book, we follow multiple characters as they struggle to survive in the wake a massive disaster. In this case the disaster appears to be from an EMP, though the actual source of this disaster isn't definitively stated, only speculated upon. I don't know whether we'll ever find out for sure in future volumes or not, and depending on how Jack continues the series it doesn't really matter, after all it's all about survival in the new world, right? The story itself is not all that original, but then most books within the genre tend to be somewhat similar. 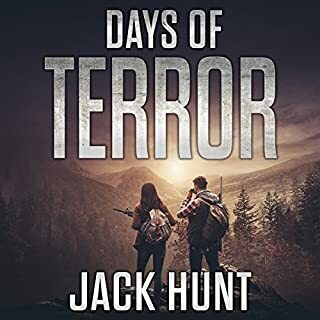 When it comes to these kind of books it's all about the characters, and I am happy to say that I quite enjoyed the cast of characters Jack tossed together for this book and look forward to seeing what he puts them through in the future. Kevin Pierce does a spectacular job, as always. 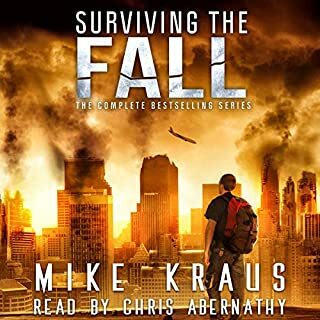 He is THE voice for survival fiction. I, for one love a good apocalypse and this does not disappoint. Although the EMP usually is my least favourite of the grand events I found myself liking this one as it developed. 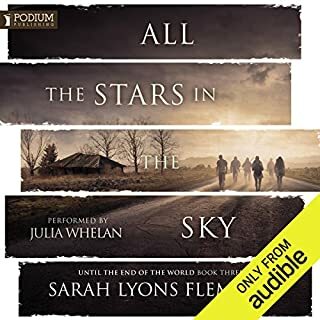 Maybe it was the magic of New Year’s Eve or New York City but I flew through this audiobook. Our random group of main characters seem to be as random as you can get, but it worked. It is the secondary characters that bring them all together and that is what I liked most about this story. I found myself wanting to know more about the secondary characters not just the main characters. The vivid scene descriptions during the moment the lights went out were awesome and very unexpected. This built upon the apocalyptic landscape and things to come. The main character’s back stories were very good and deep. I almost thought that each was dealing with some sort of mental illness in their own way and this was adding to the suspense. At one point of the book the story splits into 2 different points of view so to speak. I enjoyed each equally and that is rare for me as usually one is better than the other. 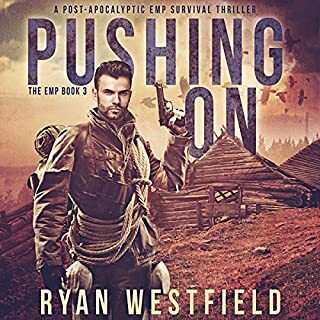 They come together nicely but I half expected there to be a huge cliff hanger ending but it wraps up quite nicely and leads into the second book, which I am excited for. This was my second audiobook by this author/ narrator duo and it was great. I loved the writing and the performance was nothing short of a Kevin Pierce apocalypse. His voice fits the genre so nicely that it is hard not to take a trip into the apocalypse that is performed by Pierce. He makes it easy to distinguish between characters and is crisp in delivery. He builds the tension with a little pause or by quickening the pace. This was a great listening experience for me. Cannot wait to move on to book 2. 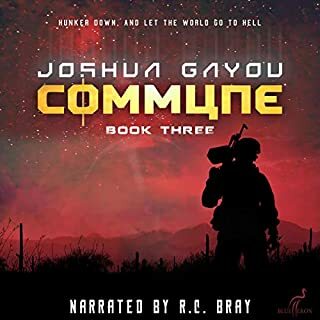 I was provided a copy of this audiobook in exchange for an honest review via Audiobook Boom. This in no way affected my opinion of this work. 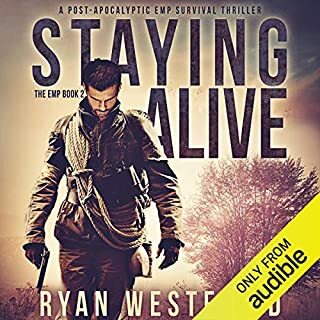 Kevin Pierce is one of the best authors I've listened to on Audible - he always delivers a flawless performance, without fail. And he does in this one as well! 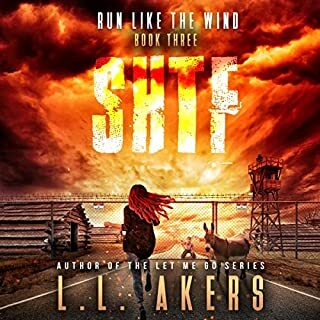 Our four unlikely protagonists must band together to stay alive in the new world - a world without power, cell phones or any of the other modern technology we all depend to heavily on today. "Days of Panic" was an excellent start to an apocalyptic series that I intend on continuing to follow! Book starts out okay. Felt some attachment to the main characters however, the over use of "secret past" was frustrating. As the story progresses the author get lazy and events become predictable. Towards the end parts of the book come to a screeching halt in the most mundane and boring way possible. That being said I did enjoy the book, just left a lot of story on the table. Kevin Pierce did an amazing job as narrator as always. 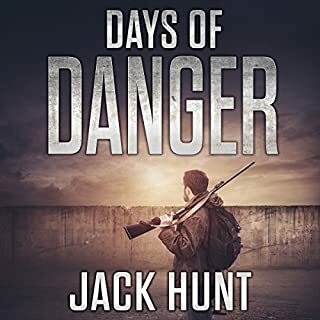 Jack Hunt never fails to deliver with excitement and character building. This is sure to be another great series!